Enter to win a pair of tickets to see Brad Paisley on Saturday, June 1st at North Island Credit Union Amphitheatre. 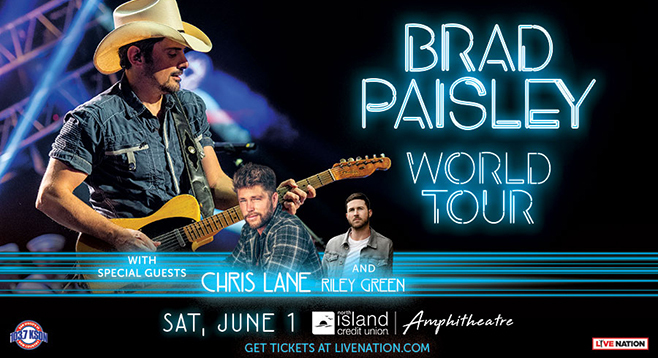 For more information on Brad Paisley at North Island Credit Union Amphitheatre, click here. Deadline for submission: Wednesday, May 22 at 1pm. Limit one entry per person or you will be disqualified. Reader employees and their families are not eligible. Winner will win a pair of tickets to see Brad Paisley at North Island Credit Union Amphitheatre. Winner will be notified via email.